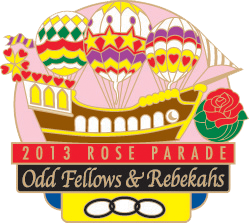 The theme of the Tournament of Roses Parade for 2013 was OH, The Places You Can Go!. 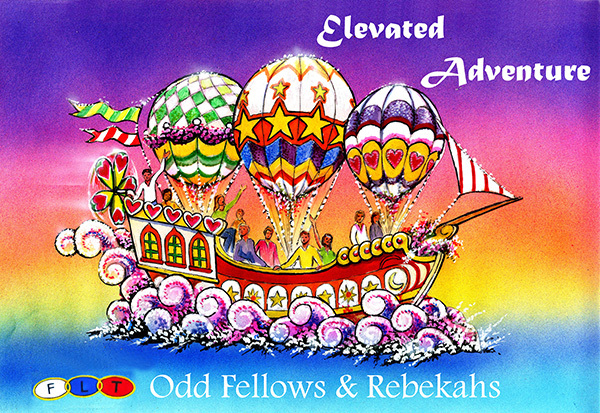 Our entry was titled Elevated Adventure. Our float expressed the concept that we seek to elevate the character of humankind and we will go anywhere to spread our message of Odd Fellowship. With our flying galleon we are prepared for anything on the air, the sea or land. 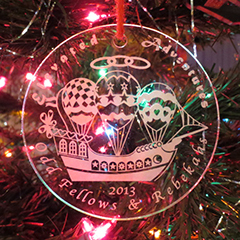 We are asking people to join with us as we travel the highways and skyways of life on an Elevated Adventure. 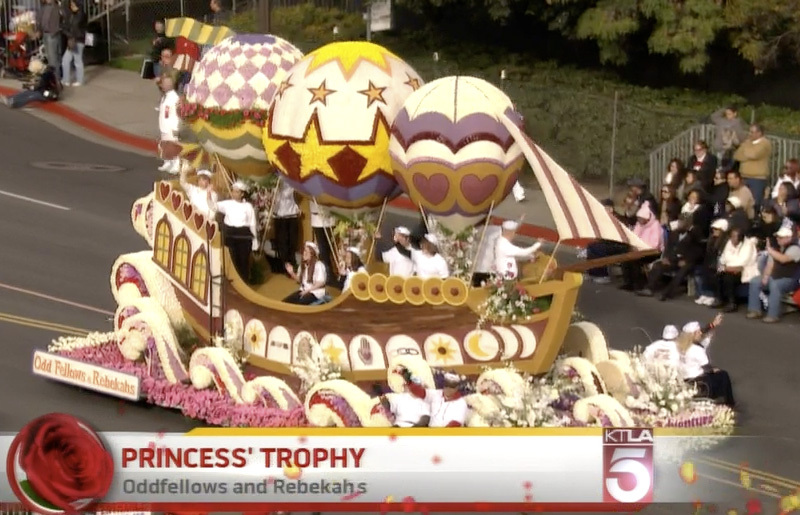 On January 1, 2013 our float, Elevated Adventure, received the Princess' Trophy from the Tournament of Roses for the most beautiful entry in the 35' class. The honorary ship's captain of our 2013 float, seated on the starboard fore quarter is Rodney Metoyer, Grand Master of the Grand Lodge of California, IOOF. Watch the 2013 video in HD.